Established in 1961, we are a privately owned specialist fire and security company working throughout Essex and the South East of England with Nationwide coverage. Our team are NSI Gold accredited and renowned for excellent customer care and service, if you would like to join our growing team, please get in touch for more information. Security Systems Install Engineer required for installation of Intruder Alarms, CCTV and Access Control. The ideal candidate would have experience in the installation of security systems and is the perfect job to expand your product knowledge. In this role you will use your experience to install Intruder alarms and other security systems and equipment. This is an ideal opportunity for those who are looking to join a growing company that can offer a positive environment. This role will be based in Essex but may need to travel to surrounding counties. The types of equipment you will be installing will be: Texecom, Risco, Paxton NET2, HIK Vision, BPT. 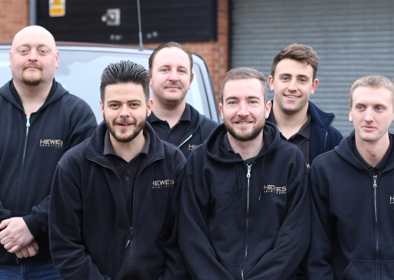 If you are interested in this position and would like to apply for a position at Hewes Security, please get in touch with our friendly team and email your CV to sales@hewessecurity.co.uk.